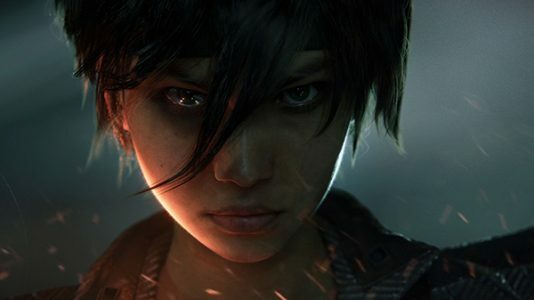 With this new trailer for Beyond Good & Evil 2, we get an ominous look at Jade, the protagonist from the original Beyond Good & Evil. We also got a look and some names of a few more characters that’ll be starring in the game, such as Uma and Callum. The presenters also brought out Joseph Gordon-Levitt who spoke about Hit Record, which is a collaborative effort with fans that will make art and music for the game, which sounds awesome. There was also some more pre-alpha footage of the game. You can see the full presentation here. 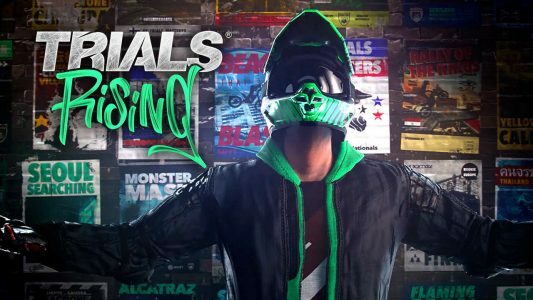 A new Trials game is on the way and it looks just as wild and wacky as you’d expect. It’ll be coming out in February 2019 and you can watch the full presentation here, it’s eccentric to say the least. Very extra. Did I mention that Division 2 takes place in DC last time I covered it? Well it’s in DC. This showing of Division 2 came with two trailers, the first being a very cinematic CG trailer that’s just okay. The second was in-engine by the looks of it, but you can see it here. The game will apparently have more emphasis on the story this time around, which is good to hear after how lackluster the last game was. The game will also feature a class system for your agent for after you complete the main campaign. The classes are sharpshooter, demolitionist, and survivalist, and you can tailor your character to fit your team setup and playstyle, and they all have exclusive skills. The game will also feature 8 player raids that you can take on with your group of friends. Ubisoft has already planned out the first year of content for the game, which will be 3 free DLC packs of story content. You can expect the game to be out March 15th, 2019. We haven’t heard much about Skull & Bones since it was originally revealed, but we got a great look at it this time around. We got a very well done cinematic trailer and a lengthy gameplay trailer, which shows some customization and a lot of the combat. 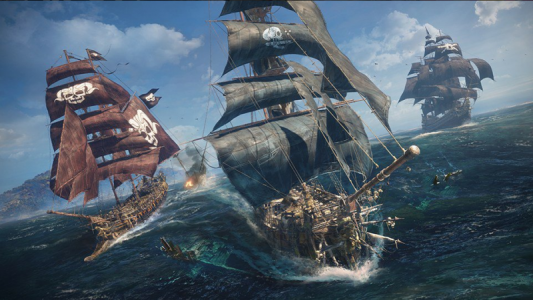 The game will also feature a shared world where you’ll see other players in the seas. Expect it to be out in 2019. A new gameplay trailer got shown off for Ubisoft’s space shooter Starlink: Battle For Atlas, but afterwards was an awesome surprise. 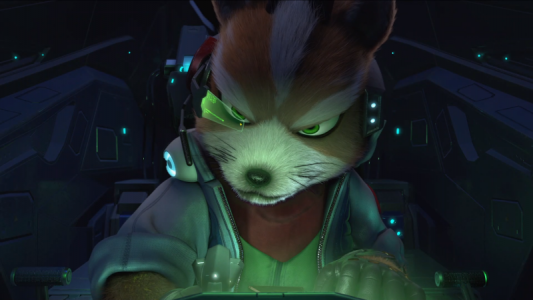 The iconic furry pilot himself, Fox McCloud will be playable in the game, which is a perfect collaboration. The game will be available October 16th and you can watch the full presentation here. 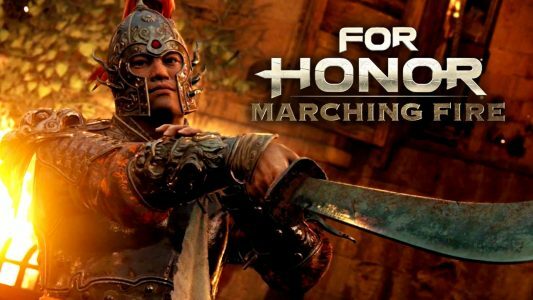 For Honor held the stage to show us a new cinematic trailer for their Marching Fire update along with the reveal of a new 4-on-4 castle siege mode and faction to play as. Ubisoft later released a gameplay walkthrough of what the mode will be like when it comes out, which you can watch here. They also revealed that if you’re on PC, you can get For Honor for free on Uplay until the 18th! There was a new trailer for The Crew 2, which will have an open beta on June 21st that you can pre-load now. 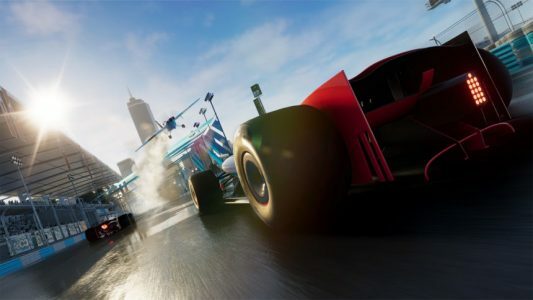 The new trailer for the game has some emphasis on the fact that you can drive cars, planes, and boats, which is pretty neat. You can watch that trailer here. Ubisoft’s Jonathan Dumont took to the stage to give us a lot of info and footage of Assassin’s Creed: Odyssey. 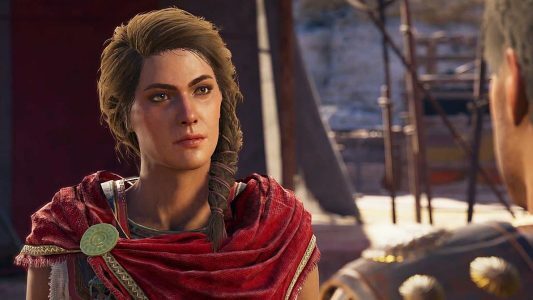 To start off, it clearly takes place in ancient Greece and features two playable characters: Alexios and Kassandra. The game will also feature dialogue trees for how you interact with everyone. The presentation gave us a new trailer and a gameplay walkthrough of one of the game’s missions. The walkthrough shows off the combat, the skill tree, the dialogue tree, and even a possible romance option. You can watch it here. Among everything above were the announcement of Just Dance 2019, which is coming out in October, new DLC for Mario+Rabbids, which stars Donkey Kong and is coming out June 26th, and a new trailer and release window for the VR game, Transference, which is scheduled for this fall. That was it for Ubisoft’s conference! Pleased with what you saw of Assassin’s Creed: Odyssey? Enjoy the Beyond Good & Evil 2 trailer? Let us know below! Be sure to stay tuned to Fanbros for more E3 coverage!